Last night was the Opening Night Red Carpet Celebration for the Frost School’s Henry Mancini Institute Orchestra with guest conductor Jeff Beal. Music and movie buffs alike will be mesmerized as Jeff Beal, five-time Emmy-winning composer of music for film, media and concert halls, joins the Frost School’s Henry Mancini Institute Orchestra on stage. 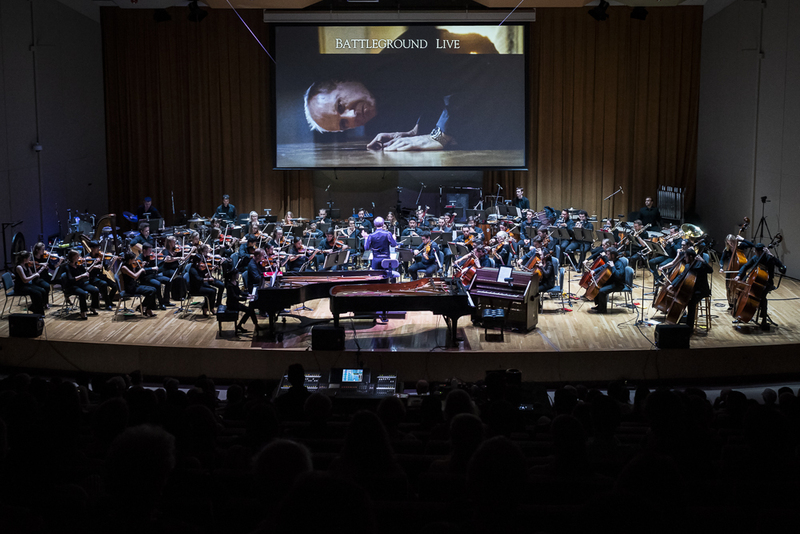 The evening features a live music-to-screen performance of Battleground, Beal’s score from the acclaimed television series Nightmares & Dreamscapes: From the Stories of Stephen King.